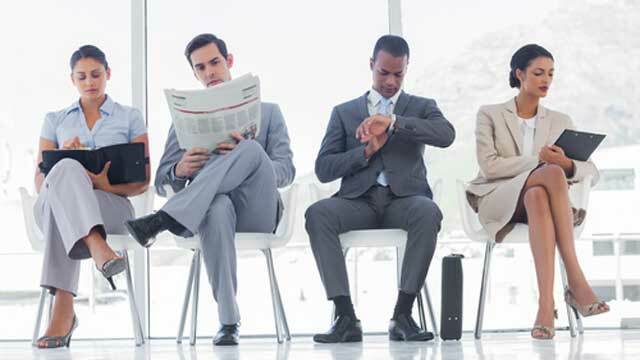 Waiting to hear back after a job interview could be stressful. The waiting game may continue for what seems like forever. According to a recent survey among 1000 UK jobseekers, around 76 percent said recruiters did not even bother to inform them when their application was declined. But don’t lose hope. Rather than sitting idle awaiting a call from the recruiter, take some steps to improve your chances. It is the time to follow up, show them that you are still interested. However, do not overdo it; or you may make yourself look too desperate. Here are some important steps to take after a job interview. Do not leave the interview venue without knowing how you should follow up with the recruiter. Ask for a rough timeline for filling this position. When should you expect a call? How should you follow up? Whom should you contact? The more information you have, the easier it would be to deal with the post-interview silence. Also, follow instructions. If the recruiter tells you to follow up by email, do not call them. If they say it would take around 3-4 weeks, wait for at least one month. At the end of the interview, request your interviewers to give you their business cards. If that is not possible, get their contact details, including names and titles of each person, from the receptionist. You’ll need this to follow up with them. When you return home after an interview, take some time to analyse what you did right and what went wrong. Ideally, you should write everything down for future reference. Try to learn from your mistakes. Sending a thank-you note is a chance for you to return to the interviewer’s mind one more time within 24 hours. Send your thank-you email on the same day. For the best results, consider including something specific in your email. For instance, you can include a link to a relevant article that provides additional information on the topic you discussed during the interview. You can also share your afterthoughts to follow up or correct one of your responses during the interview. This shows you are serious about this opportunity and still thinking about your answers. In addition, consider sending a handwritten note via mail. It should reach the interviewer within 3-4 days after the interview. Double-check your message for any spelling or grammatical errors. Keep it short and simple. If multiple people interviewed you, consider sending a personalized thank-you note to each person. Some recruiters may not tell you how or when you should follow up with them. So you may wonder when the right time is. One rule of thumb is to wait for at least two weeks after the interview. Contact your hiring manager for 2-3 times over the next few weeks. If you still do not get a response, consider it as a sign to move on. You never know when they may call you for the next round. The gap between your initial and final round of interview could be as lengthy as six months. So keep yourself ready. Do not stop researching about the company and keep yourself updated about any latest developments. If you finally get a call, your ongoing preparation will give you an edge over other candidates. Inform your references that they might get a call from your prospective employer anytime soon. By telling them in advance, you will allow them enough time to get prepared. Tell your references how they should talk about you, what information to share and what not to disclose to the recruiter. If you have contacts with someone who knows the interviewer, it would be a good idea to tell them to recommend you. Even if you nailed the interview, keep your fingers crossed, but do not stop the job search. Remember the old adage – there is many a slip between the cup and the lip. Nothing is guaranteed, so keep your searches on until you get an offer.